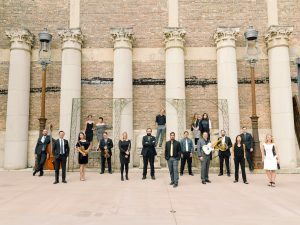 Ensemble Dal Niente is a 22-member Chicago-based contemporary music collective with an international presence. The ensemble uses its flexible instrumentation, curatorial approach to programming, and relentless attention to interpretation to create engaging, inspiring, and immersive experiences that connect audiences to with the music of today. The Chicago Tribune has said that “Dal Niente is a model of what contemporary music needs, but seldom gets, to reach and engage a wider public.” The first ensemble to be awarded the prestigious Kranichstein Music Prize in Darmstadt, Germany, Dal Niente’s recordings have been released on the New Focus, New Amsterdam, Parlour Tapes+, Carrier, and New World labels. The ensemble’s name, Dal Niente (“from nothing” in Italian), is a tribute to Helmut Lachenmann’s Dal niente (Interieur III), and a reference to the group’s humble beginnings. To find out more, go to www.dalniente.com.